The European’s Union General Data Protection Regulation (GDPR) imposes significant change to privacy laws in Europe and will apply and be enforced from 25 May 2018. Organisations that fail to comply with the GDPR face heavy fines up to €20 million or up to 4% of global annual turnover, whichever is higher. The GPDR will have a global impact because it applies to businesses operating in the EU as well as businesses outside the EU that offer goods or services or monitor the behaviour of individuals in the EU. Businesses that are subject to the GDPR should assess their current information and privacy processes and governance structures, and take the necessary steps to ensure GDPR compliance. 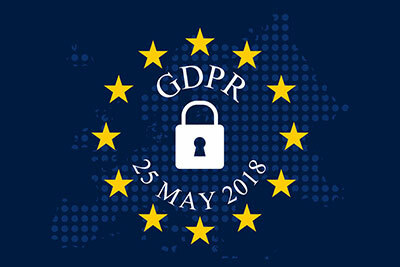 After four years of debate, the GDPR was approved by EU Parliament on 14 April 2016 and comes into force on 25 May 2018. The GDPR replaces the Data Protection Directive 95/46/EC and as set out in the EU GDPR website ‘was designed to harmonise data privacy laws across Europe, to protect and empower all EU citizens data privacy and to reshape the way organisations across the region approach data privacy’. Controllers determine the purpose and means of processing personal data (Article 4(7)). They are the principal party with responsibilities including – collecting and managing consent and enabling rights under the GDPR. Processors means the organisation which processes personal data on behalf of the controller (Article 4(2)). The obligations on data processors under the GDPR are new. Article 28 (1) requires controllers to only use processors providing ‘sufficient guarantees to implement appropriate technical and organisational measures’ that will meet the GDPR requirements. The GDPR applies to the processing of personal data (Article 2). The GDPR states that ‘personal data’ means ‘any information relating to an identified or identifiable natural person (‘data subject’). An identifiable natural person is one who can be identified, directly or indirectly, in particular by reference to an identifier such as a name, an identification number, location number, an online identifier or to one or more factors specific to the physical, physiological, genetic, mental, economic, cultural or social identity of that natural person (Article 4). The GDPR refers to sensitive personal data as ‘special categories of personal data’ (Article 9). The special categories specifically include genetic data, and biometric data where processed to uniquely identify an individual. The Privacy Act 1988 (Cth) defines personal information as, ‘information or an opinion, whether true or not, and whether recorded in a material form or not, about an identified individual, or an individual who is reasonably identifiable.’ Additional protections apply to similar categories of ‘sensitive information’ (listed in section 6(1)), for example, Australian Privacy Principle 3.3 which provides that sensitive information can only be collected if the individual consents and it is reasonably necessary for, or directly relation to, one or more of the organisation’s activities. The conditions for consent under the GDPR have been strengthened. Article 4(11) of the GDPR states that consent of the individual means any: ‘freely given, specific, informed and unambiguous indication of the individual’s wishes by which he or she, by a statement or by a clear affirmative action, signifies agreement to the processing of personal data relating to him or her’. The request for consent must be clear, concise, transparent and in easily accessible form, with the purpose for data processing attached to that consent. It must be as easy to withdraw consent as it is to give it. The UK ICO’s Guide states, ‘Consent means offering individuals real choice and control. Genuine consent should put individuals in charge, build customer trust and engagement, and enhance your reputation’. The Article 29 Data Protection Working Party published a guidance on Consent in January 2018. Under the GDPR, notification must be made where a data breach is likely to ‘result in a risk for the rights and freedoms of individuals’. Notification must be made within 72 hours of first having become aware of the breach. Data processors are required to notify their customers and the controllers ‘without undue delay’ after first becoming aware of a data breach. In Australia notification must be made promptly to affected individuals and the Australian Information Commissioner where an organisation has reasonable grounds to believe a data breach is likely to result in serious harm. An organisation must take all reasonable steps to complete the assessment within 30 days after it became aware of the grounds that cause it to suspect an eligible data breach – see my article on the Australia’s Notifiable Data Breach Scheme. There are rights for individuals under the GDPR which include – the right of transparent communications and information, right to access, right to rectification, right to erasure/be forgotten, right to restrict processing in certain circumstances, obligation to notify recipients, right to data portability, right to object, and the right to object to automated decision making (to profiling) in certain circumstances. Rights exercised and information provided to pursuant to requests must be free of charge. However, a ‘reasonable fee’ can be charged when a request is manifestly unfounded or excessive. The right to be forgotten under the GDPR is set out in Article 17 and entitles individuals to have the data controller erase their personal data, cease further dissemination of the data, and potentially have third parties stop processing of the data in certain circumstances including: the data no longer being relevant to the original purposes for processing; or a data subjects withdrawing consent. There are exceptions to this right, including where data processing necessary for the exercising of the right requires controllers to compare the subjects’ rights to ‘the public interest in the availability of the data’ when considering such requests. In Article 20 the GDPR introduces the right for individuals to receive the personal data concerning them, which they have previously provided in a ‘commonly used and machine-readable format and have the right to transmit those data to another controller’. Transfers may take place to a third country or international organisation where the EU Commission has decided that it ensures ‘an adequate level of protection’ (Article 45(1)). The adequacy decisions under the current Directive remain in force under the GDPR and those determined by the EU Commission to provide ‘an adequate level of protection’ are: Andorra, Argentina, Canada (commercial organisations), Faeroe Islands, Guernsey, Israel, Isle of Man, Jersey, New Zealand, Switzerland and Uruguay. Transfers to the US are currently permitted pursuant to the Commission’s July 2016 decision on the adequacy of the protection provided by the EU/US Privacy Shield. Implement ‘data protection by design and by default’. The controller is required at the outset to determine the means for processing data, as well as at the time of processing to implement appropriate technical and organisational measures to ensure it complies with the GDPR and protects the rights of individuals. (Article 25). This includes ensuring that only personal data collected and processed is for the specific purpose of the transaction, personal data is stored no longer than it is required and that access to personal data is restricted. Implement appropriate technical and organisational ‘measures to ensure a level of security appropriate to the risk’. This includes as appropriate: de-identification and encryption of personal data; ongoing confidentiality, integrity and availability and resilience of processing systems and services; ability to restore the availability and access to personal data; and a process for regularly testing, assessing and evaluating the effectives of the measures implemented to ensure security. Appoint a Data Protection Officer (DPO) (Article 37) if the organisation falls within a category where a DPO is mandated. This includes: public authorities, organisations carrying out large scale systematic monitoring of individuals (e.g. online behaviour tracking) or organisations carrying out large scale processing of special categories of data or data relating to convictions and offences. DPO’s are required to have ‘expert knowledge’ of data protection law and practices. The DPO must ‘directly report to the highest management level’, must not be instructed in the exercise of their tasks and must not be dismissed or penalised for performing their tasks (Article 38(3)). A strategic, proactive and unified information governance approach will ultimately be the most cost effective and efficient way for organisations to meet the requirements of GDPR as well as other privacy regulatory requirements, such as Australia’s Notifiable Data Breach Scheme. Best practice should prompt organisations to establish and embed unified information governance of all information held by the organisation in order to maximise the value of information from data (e.g data analytics) as well as minimising the risks and costs, such as those of non-compliance of the GDPR or arising from data breach. Pursuant to the requirements of the GDPR and Australia Notifiable Data Breach scheme, the importance of embedding privacy by design or ‘data protection by design and by default’ as it is referred to under the GDPR requires organisations to be strategic and proactive in respect of personal information collected and stored by organisations. Given the potential enormous fines under the GDRP for non-compliance as well as all other costs involved in a data breach, from business interruption, legal costs, reputational damage, organisations need to be proactive, prepared and ready to respond to data breaches. Awareness & communication – are senior executives and all information stakeholders aware of the GDPR and the impact it will have on your organisation? Has GDPR training of employees occurred and is there an ongoing training program in place? Update privacy notices and privacy policies – are privacy policies and privacy notices compliant with the transparency requirements and the rights of individuals under the GDPR? Review information held – what personal data is held, where has it come from and with whom it is shared? Carry out an information audit and gap analysis, and implement a remediation plan as needed. The audit should examine how and when personal information is being disposed of when it is no longer in accordance with the consent provided. Transfers outside of EU – is your business compliant with transfer mechanisms? What changes are needed to be compliant with the GDPR and how will you implement the changes to ensure compliance before GDPR comes into force? Update internal procedures – do you have policies, processes and procedures in place to deal with the practical implications of the new and extended rights for individuals under the GDPR? For example, can requests for information be responded to promptly and within one month? In relation to the rights of rectification and erasure, are procedures for ensuring notification is made to other organisations (e.g. 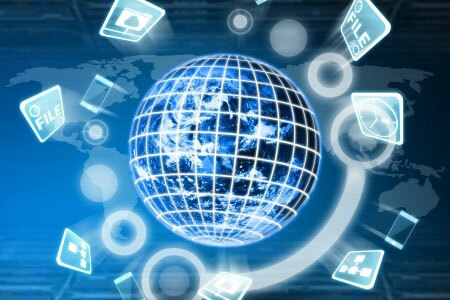 suppliers) to whom an individual’s personal data has been disclosed in place? Review current systems such as technology and HR systems – are current systems and technology in place to ensure individuals can exercise their rights under the GDPR? Review supplier/processors contracts – ensure that supplier contracts are reviewed and if appropriate renegotiated to ensure GDPR compliance. Update data breach response plan – do you need to review and update your data breach response plan to ensure mandatory data breach notification to a local data protection regulator within 72 hours of data breach? Review and update processes and procedures for the detection, investigation, management and reporting of data breaches. Privacy-by-design/ Data Protection by design – how can you ensure that any activity that involves processing personal data is done with data protection and privacy in mind from the outset and throughout each step of the process? Depending on the activities of your organisation it may include specific projects, product or service development, system developments such as IT and HR. Review insurance and cyber policies – are the terms and coverage of your current policies adequate? If not, add appropriate cyber and data insurance protection as appropriate. Develop a unified Information Governance framework – does your privacy ecosystem align with a unified information governance framework to ensure the value of information throughout the organisation is maximised and risks of holding information are minimised? · right to object: Art 21 No equivalents to these rights. If you would like assistance with your Privacy, Data or Information Governance ecosystem, please contact Susan on +61 2 8226 8682 or email susan.bennett@sibenco.com. UK ICO GDPR Guidance https://ico.org.uk/for-organisations/guide-to-the-general-data-protection-regulation-gdpr/. Australia’s Notifiable Data Breaches (NDB) scheme comes into effect from 22 February 2018. 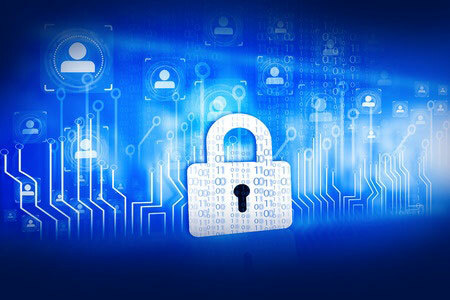 This article explains what a Notifiable Data Breach is and when to notify the Australian Information Commissioner and individuals whose personal information has been subject to a data breach likely to result in serious harm. Importantly, organisations need to be prepared and ensure that data breach response plans are up to date with an appropriate assessment process for suspected eligible data breaches to comply with the NDB scheme. The Privacy Amendment (Notifiable Data Breaches) Act 2017 (NDB Act) established the Notifiable Data Breaches scheme in Australia. It requires organisations to notify individuals whose personal information is involved in a data breach that is likely to result in serious harm and the Australian Information Commissioner. The NDB scheme comes into effect from 22 February 2018. The NDB Act and Privacy Act 1988 (Cth) applies to all Australian government agencies, businesses and not-for-profits with an annual revenue of $3 million or more per annum and all health service providers, credit providers, credit reporting bodies, entities that trade in personal information and tax file number recipients. Take specified steps to ensure that an organisation’s conduct is not repeated or continued. The NDB scheme applies to data breaches involving personal information that are likely to result in serious harm to any individual affected, which are referred to as ‘eligible data breaches’. Once an organisation is aware that there are reasonable grounds to believe that there has been an eligible data breach it must promptly notify affected individuals and the Commissioner about the breach. In respect of criteria 2, ‘serious harm’ is not defined in the Privacy Act. 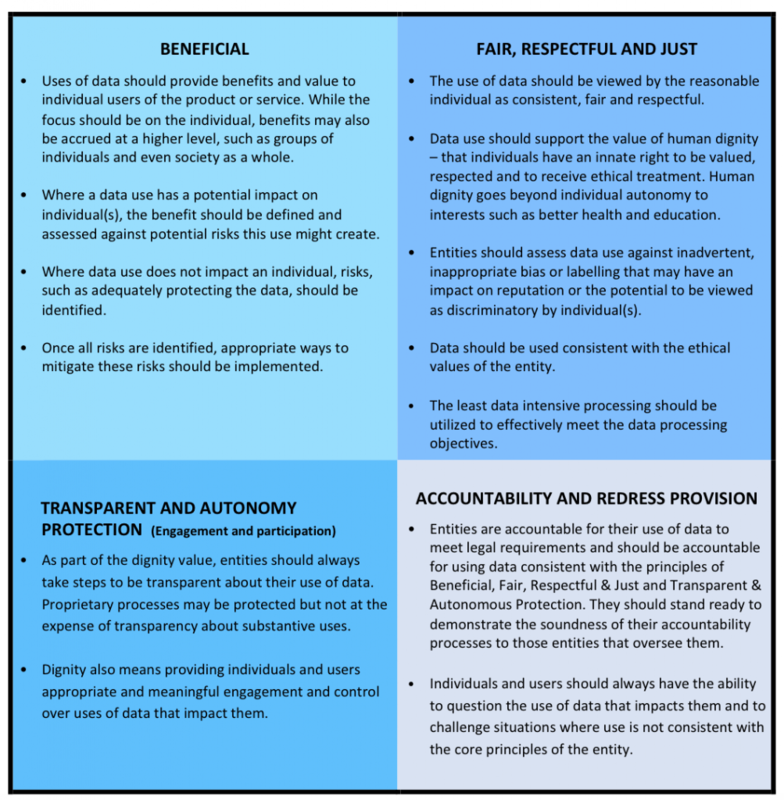 The OAIC sets out in Eligible data breach that organisations ‘should assess the risk of serious harm holistically, having regard to the likelihood of the harm eventuating for individuals whose personal information was part of the data breach and the consequences of the harm.’ The NDB scheme includes a non-exhaustive list of ‘relevant matters’ set out in section 26WG. 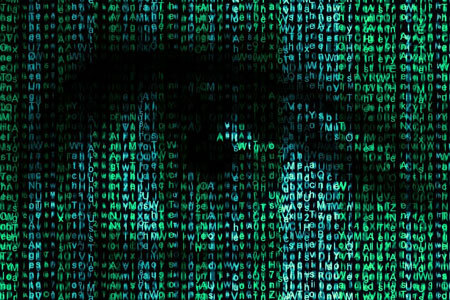 One of those matters includes whether security technology was used and designed to make the information unintelligible or meaningless to unauthorised persons. In respect of criteria 3 above, if an organisation takes remedial action so that the data breach would not be likely to result in serious harm, then the breach is not an eligible data breach (see section 26WF(1)-(3)) and notification is unnecessary. If an organisation has reasonable grounds to believe that it has experienced an eligible data breach, it must promptly notify individuals and the Commissioner about the data breach. Think you’ve got an eligible data breach? 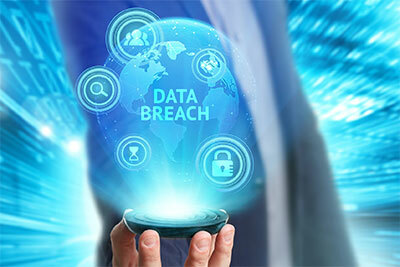 The NDB scheme requires an agency or organisation that has reasonable grounds to believe an eligible data breach has occurred to promptly notify individuals at likely risk of serious harm and the Australian Information Commissioner (Commissioner). The notification must include: the identity and contact details of the notifying organisation; a description of the data breach; the kinds of information concerned; and recommendations about the steps individuals should take in response to the data breach (see section 26WK(3)). Where serious harm cannot be mitigated through remedial action, the agency of organisation must notify individuals involved in an eligible data breach that is likely to result in serious harm. If it is not practicable to notify each affected individual then the organisation must publish a copy of the statement on the organisation’s website (for at least 6 months) and take reasonable steps to publicise the contents of the statements (see section 26WL(2)). The notification must include recommendations about the steps individuals should take in response to the breach to mitigate the serious harm or likelihood of serious harm from the data breach. Notify the Commissioner of eligible data breaches by completing online the Notifiable Data Breach statement — Form or downloading the Word document form [108 KB DOCX]. Where an eligible data breach applies to multiple organisations, only one organisation needs to notify the Commissioner and the individuals at risk of serious harm, and it is up to the organisations to decide who makes the notifications. Your organisation’s data breach response plan needs to incorporate the requirements of the NDB scheme for assessing suspected eligible data breaches. OAIC has available on its website a Guide for developing a data breach response plan, which includes a useful data breach response checklist. This is important, because [t]‘the Commissioner expects that an entity’s approach to data breach management, including its data breach response plan, will incorporate the requirements of the NDB scheme for assessing suspected eligible data breaches. If a data breach is required to be notified under s 75 of the My Health Records Act, the NDB scheme does not apply (see section 26WD). This exception is intended to avoid duplication of notices under the NDB scheme and the data breach notification requirements in the My Health Record system. For further about data breach notification requirements of the My Health Records Act see OAIC’s Guide to mandatory data breach notification in the My Health Record system. Organisations may also need to consider reporting a data breach incident to other authorities and regulators, such as: ASIC, APRA, ATO, The Australian Cyber Security Centre, law enforcement, professional bodies, financial services provider etc. Organisations that operate in multiple jurisdictions may have notification obligations under other breach notification schemes, such as the EU General Data Protection Regulation (GDPR) – see my article GDPR: Change to European privacy laws and its impact on Australian businesses. Ensure your data breach response plan is up to date and complies with the NDB Scheme, including the requirements for assessing suspected eligible data breaches. Prompt notification to affected individuals and the Commissioner is required unless remedial action is taken so that the data breach would not be likely to result in serious harm. Assessments must be done as quickly as possible and within 30 days. Is your organisation ready to conduct a quick assessment of a suspected data breach to determine whether it is likely to result in serious harm to affected individuals, and if so, is it ready to make notifications to individuals and the Commissioner? Key considerations include: who is your internal team; do you have sufficient internal or known external resources to deal with a potential significant data breach of personal information, including resources to manage communications to notify affected individuals? In the event of a data breach, consider whether your organisation is required to report the data breach to any other authority or regulator or professional body. Have you reviewed contracts with service providers to ensure they contain privacy and data breach notification obligations on them that will allow your organisation to comply with the Privacy Act and the NDB Scheme? Who has the obligation to notify affected individuals and the Commissioner? Does your organisation have adequate cyber insurance? Have you reviewed the terms and coverage of current policies to assess whether they are adequate, and include cover for liabilities and losses including monetary penalties? Does your organisation have a strong privacy culture? 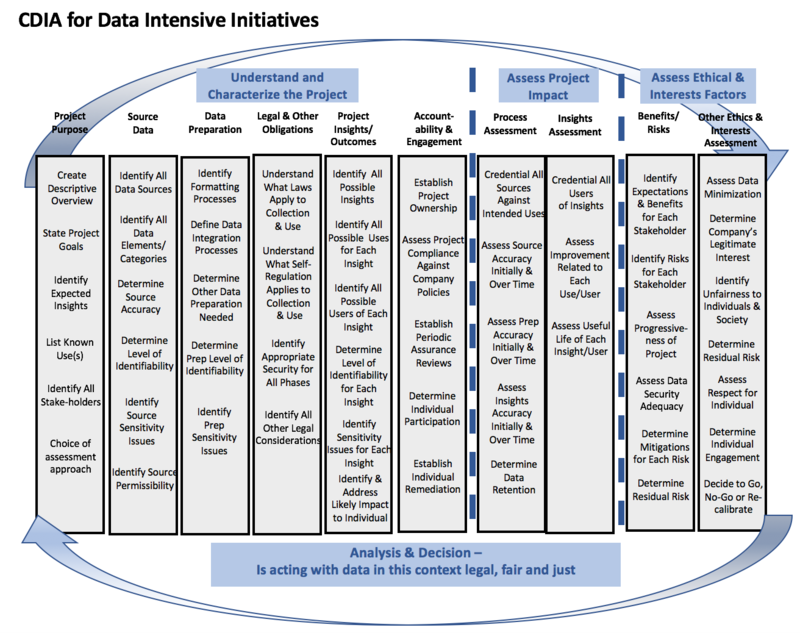 Are privacy impact assessments being carried out? Is privacy-by-design being built into systems and processes? Are you able to quickly respond to suspected data breaches and to learn from potential or actual eligible breaches? Does your data breach response plan and privacy ecosystem align with a unified information governance framework to ensure the value of information throughout the organisation is maximised and risks and costs of holding information are minimised? If you would like assistance with your Data Breach Response Plan or Information Governance ecosystem, please contact Susan on +61 2 8226 8682 or email susan.bennett@sibenco.com. training of relevant personnel to enable the organisation to respond adequately in the event of privacy and data breach – this will include IT, communications, privacy and legal personnel. 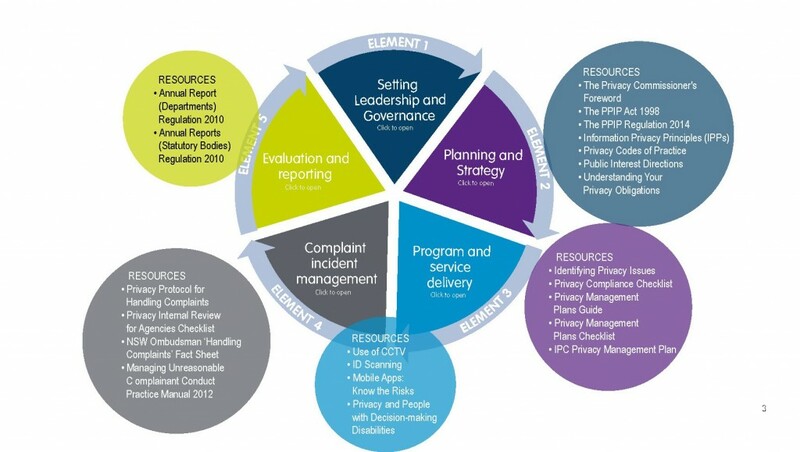 If you would like assistance reviewing your current privacy and information governance ecosystem, please contact Susan Bennett, Principal, on +61 2 8226 8682 or email susan.bennett@sibenco.com.